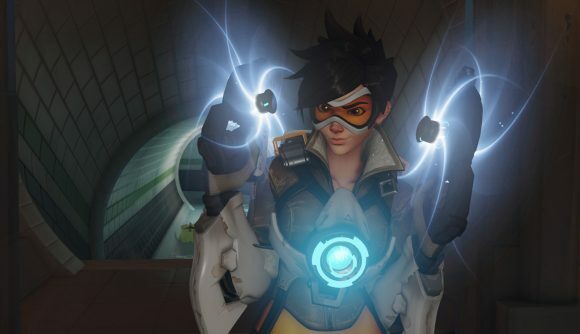 An intrepid Overwatch fan has gone and broken down charge rates for ultimate abilities across every single hero in the game. Folks have done the math to various degrees throughout the game’s life, but this breakdown is absurdly detailed, and should provide a valuable insight for just about anyone who’s regularly playing the game. If you want the juiciest bits of trivia, try this one on for size: If you can manage to keep Tracer’s guns trained on headshots for a few seconds clip, you can charge her pulse bomb by 85% in a single clip – assuming no falloff is taken into account. Tracer’s fast firing makes her one of few heroes suited to such big ult charges from gunfire – Bastion could, in theory, unload a crit-fueled sentry clip for 109% charge, but try keeping aim that careful for a full ten seconds. This all comes via the intensive efforts of cleverfool324 on Reddit, who’s collected the details in PDF format. (Keep an eye out as the file gets fact-checked and corrected for typos.) The info doesn’t just cover primary fire, either – abilities, alternate attacks, and variations based on buffs are also here. There are even stats covering Lucio boops. This info might fuel some unfounded discussions about who’s OP or broken from here on out, but more practically it offers a valuable insight for those situations where you’re not sure how much more you need to do to get your most powerful ability into play. Memorize the stats for your main and you’re good – until an unfortunately targeted patch comes around, anyway. If you want some more general advice, check out our guide to the best Overwatch characters to find your best bets in every class.